Welcome to the 6th grade band page. Below is information that you will need to know in order for your child to get a good start this year in band. Please contact me at school or by email if you have any questions or concerns. Students must provide their own instrument. Students must have acquired an instrument by August 21st, which is our first day to play the instruments (Some large, expensive instruments are owned by the school and may be issued to students that have previously been selected by the director for that instrument. 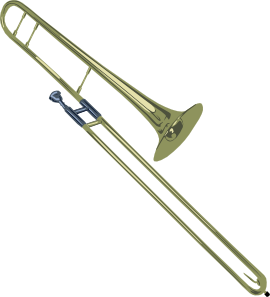 These instruments are the French horn, Baritone and Tuba). Instruments may be purchased new, used, or rented (Please let me help you inspect any used instruments for necessary repairs). This is a very reputable online source for instruments. Located in Fayetteville, this store has instruments for sale and for rent. This is a great source for quality used instruments, located in Bentonville. For normal progress, all band students are required to practice on a regular basis. We strongly encourage equally distributed practice time in order to promote musical success. Students should practice an average of 20 minutes-5 times per week for adequate progress. Our beginning band students will perform at 2 concerts during the school year. Every student is important to our band, and we need 100% attendance at both concerts. If your student is signed up for band, participation in both the fall and spring concerts is required. Concert dress will be band shirts and jeans. Band shirts are included in the band fee. This subscription is a new site and very much like smart music. Only $3.00 per month! Each student will pay a band fee of $23.00. This fee will pay for your student’s band shirt, band book. Band shirts will be used for both 6th and 7th grade. This fee is due during the first week of school. Possible Fund Raisers We will be having a fundraiser selling Beefsticks for $1.00 each in the beginning of September. Please expect your student to bring information home before the fundraiser begins. Proceeds from the fundraiser are spent on student scholarships , necessary equipment, and activities for our band program. Please plan on participating! Band students must have all supplies (such as cork grease, reeds, valve oil), band book, instrument, and a pencil in class each day! Students may not share a book with another student, because we often ask students to write special instructions in their book, or do assignments in their book. Student’s planner will be marked with an NP (not prepared) if they do not have the necessary materials in class. Students are responsible for keeping their instruments in proper playing condition. Students must bring a note from home if their instrument is in the repair shop. Saied Music Co. comes to our school once a week to pick up instruments that are in need of repair. If you need assistance with sending an instrument to the shop, please contact me at school. Parents are responsible for paying for all repairs, even for school instruments. You can fill out a form to request an estimate. Flute: Soft cloth for cleaning. Clarinet: 4 or more reeds, cork grease, and a swab for cleaning. Trombone: 1 tube of Trombotine and 1 tub of slide grease. A small water bottle that will fit in case. Percussion: Bell kit and m 13 mallets.